The caller made it clear – $10 million or her daughter’s head. The power of unintended consequences sends the privileged life of prominent anti-war activist Sarah Raab crashing down around her. Fear and terror take hold and Sarah turns to former CIA operative Carl Hellmann, a man she has only just met and who stands against everything she has been fighting for. How could this happen? Why would a terrorist group target her family? Confusion turns to fear and anger as Sarah faces the shocking truth lying beneath the surface of her life. And though Carl’s interrogation methods violate everything Sarah believes in, they may be the only way to save her daughter’s life. Faced with horrific choices, Torture Man takes the reader on a torturous weekend where Wall Street kickbacks, deceit, corruption, and jihad collide on the Upper East Side of New York City. The premise of Torture Man is promising – take two individuals who are polar opposites in their worldviews and put them in a life and death scenario where they must rely on each other and then see if either of them changes their long-held belief system. A lot of time in the first five chapters was devoted to learning the main character’s opinions and viewpoints, mainly through their own internal thoughts. Neither Sarah nor Carl are likable characters, they came across more as caricatures of far-left and far-right political foes than real people. Sarah is an anti-war activist who thinks highly of herself and feels entitled to a privileged lifestyle while lambasting the excesses of everyone else’s lifestyle. Carl is a CIA operative who has years of specialized training in how to interrogate the enemy and believes people like Sarah are naive because they’re not privy to the intelligence reports he has seen or the cases he has worked. They don’t like each other, but it’s based mainly on what they think they know. Their meeting early in the novel is fairly short , not something you would use in real life to make such harsh judgments about a person you just met. And just in case you missed something the first time, it was repeated often, which I found quite annoying. Torture Man is only 197 pages long and it takes 87 of them before the daughter is kidnapped, which doesn’t leave much time for an investigation, interrogation and rescue mission. Most of the action takes place in Sarah’s New York City apartment, where she constantly undermines and interferes with Carl’s interrogation of the suspect and her husband cries a lot about his own stupidity. Carl quickly loses control of the interrogation and then has to react to events around him instead of controlling the situation as his years of training have taught him. The repetitive nature of the character’s thoughts and external dialogue makes this part of the book unbelievable and tedious. Also, for someone who the reader is supposed to believe has no problem with actual torture of suspects, Carl is surprisingly mild in his methods, especially when time is a factor. Duct tape, a slap across the face and threatening the suspect’s family would not sway a terrorist who truly believes in his cause. Meanwhile, Sarah thinks talking to the terrorists and appealing to them as a mother is all it will take to get her daughter back. I mean, if she just explains to them how much she loves her daughter, surely they’ll understand and just bring her home, right? I expected more from such an accomplished author as Warren Adler. 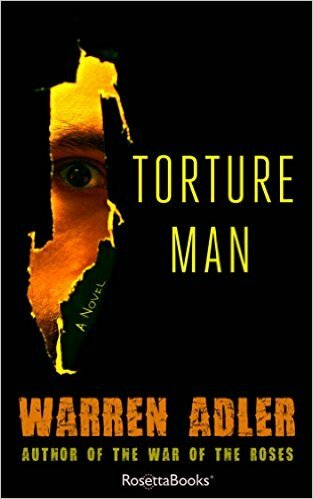 I feel that cutting out the repetition and tighter editing would have made Torture Man an excellent 80-100 page novella, but the substance of the story couldn’t support the full length of the book. 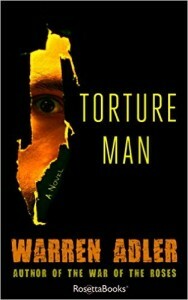 Having said all that, Variety reported earlier this year that Torture Man is in development as a movie. I actually think the story will translate better on the big screen than it does on the page, and I’m looking forward to seeing it. I’m interested in hearing what you think about Torture Man. Let me know in the comments!